SCOTLAND has had at least its fair share of trouble from decisions by big overseas companies over the decades. It has probably had more than its share, if you consider the raft of plant closures by global electronics players, among them Motorola, NEC and Freescale, which have within the past 20 years cost many thousands of jobs. So it is easy to understand the oft-voiced desire, among the corporate community, the public and politicians, for decisions affecting business operations in Scotland to be made here. After all, Scottish interests are most likely to be taken into account if the key decisions are made locally. Japanese giant Suntory’s $16 billion (£10bn) agreed takeover of US group Beam Inc, unveiled this week, was a reminder of just how much of the Scotch whisky sector is owned by overseas-headquartered companies. 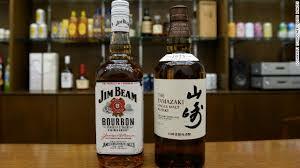 Suntory acquired a minority stake in Scotch whisky distiller Morrison Bowmore way back in 1989. It took 100% ownership of the Scottish distiller, best known for its Bowmore single malt from Islay, in 1994. Assuming its agreed takeover of Beam Inc is completed, Suntory will acquire another Islay malt, Laphroaig, as well as blended Scotch whisky Teacher’s. The Ardmore single malt will also come into the Suntory stable.